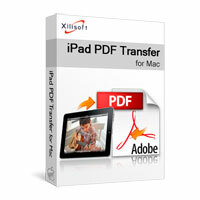 Simplifying processes to transfer your loved eBooks to iPad, Xilisoft iPad PDF Transfer for Mac provides the most valuable solution to help you transfer your loved eBooks in most common formats PDF and EPUB to iPad directly on Mac, skipping iTunes. 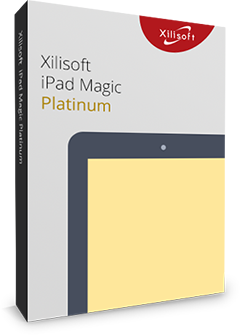 With Xilisoft iPad PDF Transfer for Mac, you can transfer PDF and EPUB files between iPad and your Mac, and backup PDF and EPUB files in iTunes for later usage. 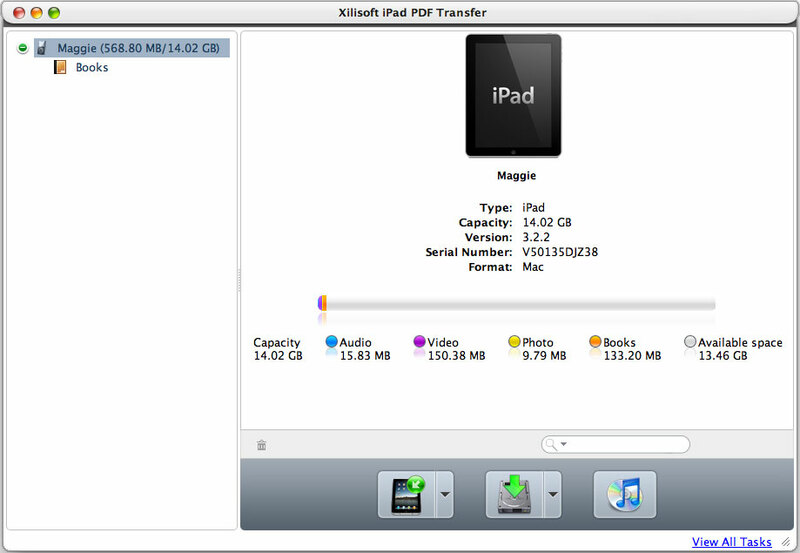 Xilisoft iPad PDF Transfer for Mac also owns the abilities to customize PDF and EPUB files by editing information, like name, author, published year and etc. Transfer PDF and EPUB files from Mac to iPad/iPod touch/iPhone in surprisingly fast speed and good quality. iTunes is not necessary in transferring anymore. Backup PDF and EPUB files in iPad/iPod touch/iPhone to Mac, convenient and safe. Compatible with iTunes and you can also backup your PDF and EPUB files in iPad/iPod touch/iPhone to iTunes for further usages. Customize PDF and EPUB files by editing information, like name, author, published date and etc. You can also rate or comment on files. Search wanted files in filter by entering file name, size, author and type with ease. Recognize connected devices automatically and display all detailed information of the devices, such as mode, capacity (used and left), version, serial number and format. Batch files can be transferred to the devices simultaneously in amazing High-speed to save time. Up to 8 lingual interfaces: English, German, Italian, Spanish, French, Japanese, Simplified Chinese and Traditional Chinese.